Canada’s fastest growing airline, WestJet, is making its first of many flights to Windsor, today. WestJet flight 706 is scheduled to arrive from Calgary at at Windsor Airport at 3:23pm this afternoon. The airline, which got its start in western Canada back in the early 2000’s, once made daily flights to Windsor, but stopped due to slow business back in 2005. Windsor Mayor Eddie Francis and Windsor Airport president Federica Nazzani announced back in February that WestJet would be returning at the end of May for a whole summer’s worth of nonstop flights to Calgary International, and beyond. 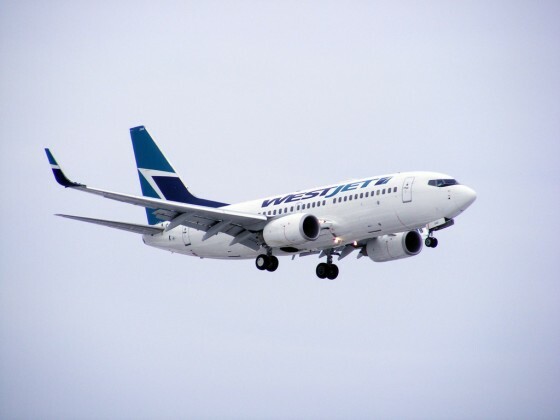 WestJet operates a fleet of eighty-eight Boeing 737 “Next Generation” aircraft, calling it the ‘modern fleet in North America’. Windsor will get a visit from one WestJet airplane daily, arriving each afternoon at 3:23pm and departing our fair city at 4:15pm.